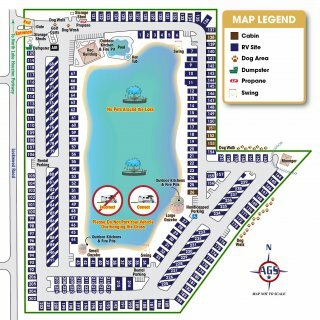 Ask fellow campers about "Eastlake RV Resort" and nearby attractions. Another great stay at this beautiful RV park. Keith really helped us out. Still very clean, very tidy, beautiful landscaping (rose bushes out front where ridiculously gorgeous). Its still a bit pricey but can't beat the location. We camped at Eastlake RV Resort in a Motorhome. Beautiful spacious concrete roads to level manicured sites in this secure gated RV park. Full services plus cable TV. Gorgeous lake is the centerpiece of the park. Pet friendly with loads of accessories available. Very friendly and courteous staff happy to help. Convenient to the east side of Houston. We would definitely stay here again. We camped at Eastlake RV Resort in a Motorhome. Galveston is maybe an hour south. 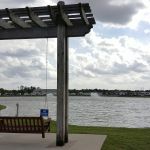 Johonson Space Center is a fabulous place within reach as well as Kemah Boardwalk on the coast. Recommend the Flying Dutchman Restaurant. I like this campground. It's convenient to family and close to the Beltway. What I dont like is the way they've fixed the wifi to a login screen. It limits your access to devices. It's still clean and well run though. We camped at Eastlake RV Resort in a Motorhome. Close to everything, shopping, dining, the beltway. Pool is now heated and there is nice workout equipment. We were here for a few days and enjoyed every minute of our stay. Staff was very friendly and helpful. Had a very nice pot luck hosted by the park managers. Very family oriented. Kids had a blast! Restrooms were very clean. Pool was sparkling. Had a few rowdy guests (workers) but were handled very professionally by the staff. Park was clean and well maintained. We will be back and we recommend to our fellow fulltime RVers. We camped at Eastlake RV Resort in a Travel Trailer. We have stayed at a few Quality resorts in the Houston area, Our 2nd time here in the last 3 years. First time very good, this time not so good. Management unfriendly, has no clue what goes on in the park. Rv's older than 15 yrs and junky throughout the park. Day we arrived 1 RV was still in it's site burned out from a fire, few days later it was removed, they never cleaned up after removal. Some occupied sites very dirty and junk all over them. Some train and plane noise, Resort is mostly workers, so the loud diesels start rolling out at 5 am. Ours site was between workers . Next time in Houston we will stay elsewhere. We camped at Eastlake RV Resort in a Travel Trailer. Eastlake is just to the east of Houston off the Sam Houston Expressway. It is just off the highway although the access roads are a bit narrow but manageable. The Resort is predominately concrete with concrete internal roads and pads but wide and navigable. We drove our 45ft MH with tow attached through the park, into our site, and out the next morning. Spaces are close together, although large enough for slides to go out. It appeared like the majority of residents were permanent with a few over-nighters here and there. Utilities worked fine and were placed in convenient locations. Did not use wifi or facilities so cannot comment but in general things throughout the park were clean and tidy. Office staff were friendly and helpful. The park did not appeal to us but is fine for an overnight stay, although a bit pricey. We camped at Eastlake RV Resort in a Motorhome. Eastlake is a nice RV park with wide, easily navigable, concrete streets and concrete sites, complete with picnic table. Sites include full hook-ups, cable tv, and wi-fi. Trees have been planted which will eventually offer shade, but at their current height, they do not obstruct satellite reception. Centered within the park is a fishing pond (catch and release) surrounded by grass. Laundry facilities, restroom/showers, an outdoor kitchen, and a very nice heated pool complete the office complex. Very friendly and hospitable office staff greet you upon check-in and are available to help in any way needed. 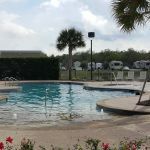 Additional amenities at the park include two other outdoor kitchens strategically placed around the lake, golf cart rentals, a dog wash, and best of all...an air station with enough pressure to fill the tires of our 45' motorcoach. We camped at Eastlake RV Resort in a Motorhome. Visits to the Fine Arts Museum Houston and the Houston Museum of Natural Science are a must. First class park. Big beautiful sites. Easy access, level, great site services. Is very wide open & devoid of trees. Nice pool, hot tub, recreational room & laundry facilities. Easy access from the #8 Beltway. Only negative was our neighbour did not use proper sewer hook up & we occasionally got a sewer gas smell our way. Told the office. We camped at Eastlake RV Resort in a Motorhome. Nice campground for older people looking for a year round site. It is very clean and safe but not recommend for anyone traveling with children. The management crew is very nice and helpful. Nothing exciting here so if that is what you are looking for then this is the place for you! We camped at Eastlake RV Resort in a Fifth Wheel. 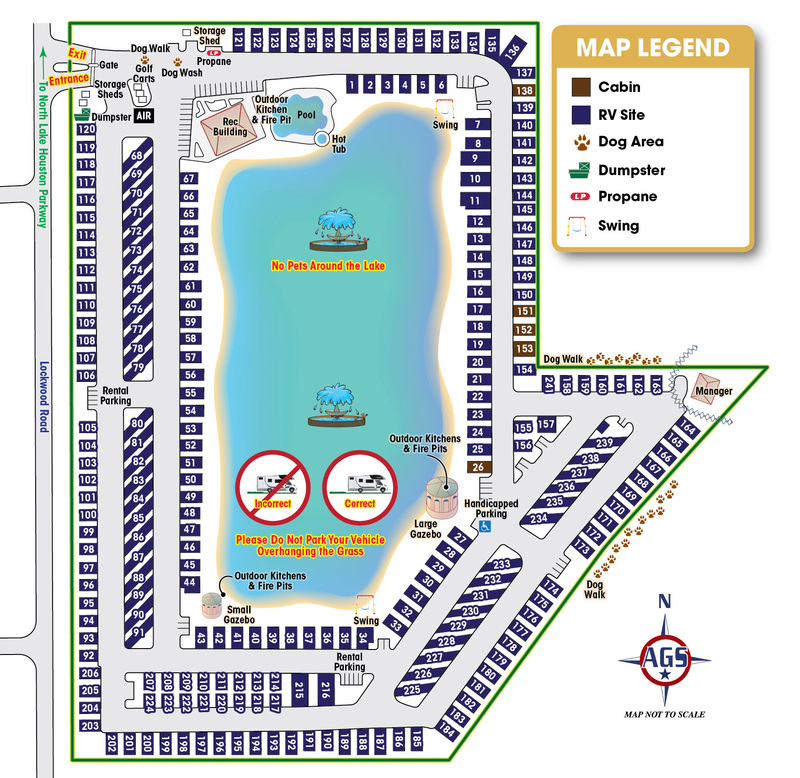 This is one of a group of RV parks owned and managed by Quality RV Resorts. Most of them are in the Houston area. They have a formula that you can see replicated at each property. The result is a very nice, well managed RV park. The facilities are high quality and kept clean and in good condition. Central to the property is a large lake. Many of the sites are located on the lake. The driveways and site pads are concrete. The site pads are wide enough to include a picnic table and room to park a vehicle. Each site has full hookups with 50 amp electric and cable. The free WiFi was consistent and reliable. Their "clubhouse" has a TV area, a computer lab with printers, pool table, fresh popcorn, coffee, etc. The laundry facility is top quality and clean as are the restrooms. They also have a heated pool with jacuzzi. There are also really nice gas grills for guest use located around the lake. We paid $55 per night with Good Sam discount. We camped at Eastlake RV Resort in a Motorhome. We stayed here from October 22 - December 22 of 2016. While the monthly rate seemed high at first, taking into account all the amenities makes it worth it. In addition to the pool and hot tub, rec hall with exercise equipment, popcorn popper, and a 24 hour laudromat, a lake for fishing, cemented and flat rv sites, Eastlake sports a gated entry, air for inflating tires, propane tank refilling facilities, a large and long dog walk with doggie bags, there's even a dog washing station, all included in the rent. The staff was always friendly and willing to go out of the way to accommodate us. Oh yeah, I forgot to add that the wifi was up 98% of the time, and the cable has over 30 channels. Spraying for mosquitoes at the pool area was done three times a week also. We camped at Eastlake RV Resort in a Fifth Wheel. Gated, hot tub, heated pool, free coffee, free popcorn, free air to air up tires, dog walk, dog wash station. Park is well kept and quiet. Rented a pull-through site. No extra charge for trailer, pets (2 dogs) or third person. Managers are very congenial, helpful and on top of everything. Definitely recommend and will be staying again. We camped at Eastlake RV Resort in a Motorhome. The park has level concrete spaces with grass and a picnic table, including FHU for 30/50A. Paved roadways throughout. The office staff are very pleasant and efficient. Good Sam discount brings fee to the amount displayed. My 40' Class A and 18' enclosed trailer fit into a pull thru site with room to park your vehicle. Has a heated pool and jacuzzi with showers rooms available next to the pool area. Secured gate entrance provides security which is always a plus!! I would certainly stay here again when in the area. Close to shopping for groceries, shops and restaurants. We camped at Eastlake RV Resort in a Motorhome. All concrete roads and pads. Pretty landscaped near office. All fenced with security gate. Road construction on N. Lake and Lockwood Rd. could still make it thru to rv park. No Shade all small trees. Stayed overnite on way to southern Texas. This park is off Texas service road. Will stay here again for overnite, but didnt like being in Houston traffic. We camped at Eastlake RV Resort in a Fifth Wheel. The managers were great hosts. Park was immaculate, site great, Amenities terrific, Great cable and WI-FI. We stayed here a month on a special rate. Laundry room spacious, lots of machines, works on a card system. Newspapers, free coffee and popcorn in rec. hall, pool table and cardio machines. Media center with phone, fax and copier free to use. Only negative was near airport and Interstate so some noise. We would stay here again. 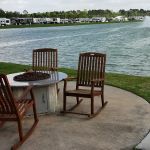 We camped at Eastlake RV Resort in a Travel Trailer. Grocery shopping @ HEB, on the w/b side of the beltway. They also have cheap gas. GPS told us to turn off on Lockwood. As of this writing (Nov 2015) almost all of Lockwood is under construction & the temp asphalt is dreadful. Do yourself a favor & stay on the feeder all the way around to North Lake Houston Pkwy (not to be mistaken for W Lake Houston Pkwy or E Lake Houston Pkwy). Turn right & then the next intersection is Lockwood. Turn left & the park is 1/2 mi on the left. Are you affiliated with Eastlake RV Resort ?